They’re easy to find and come in many different themes/colors! 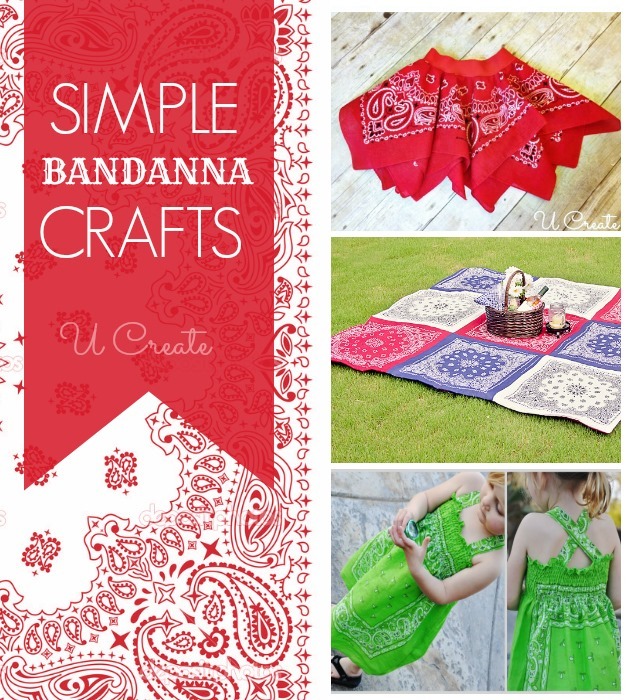 Did you know there are so many different ways to craft with a bandanna?! You can make quilts and blankets, too! I love how Jamie sews 9 of them together…perfect size for a picnic! 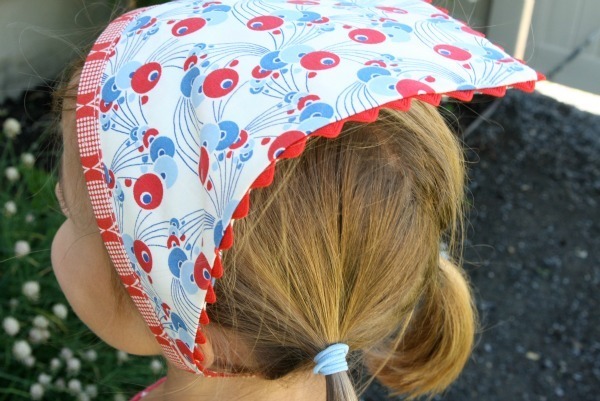 Your daughter will thank you if you make this ruffled purse she can tote around! How adorable is this technique?! Would be fun on a baby onesie, too – don’t ya think?! 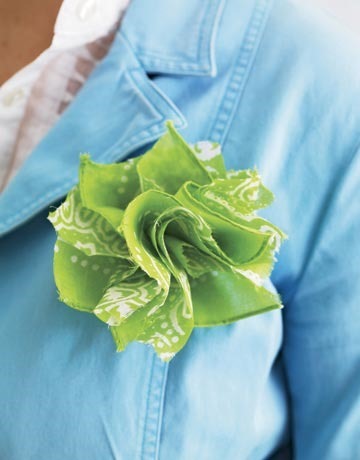 Create a bandanna rosette to pin on a bag, jacket, etc. Such a fun accessory! Next up? 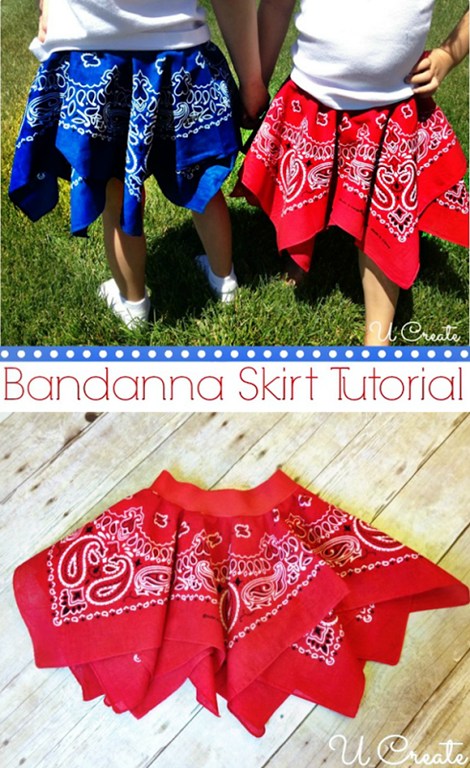 Turn bandannas into shorts or pajama pants! 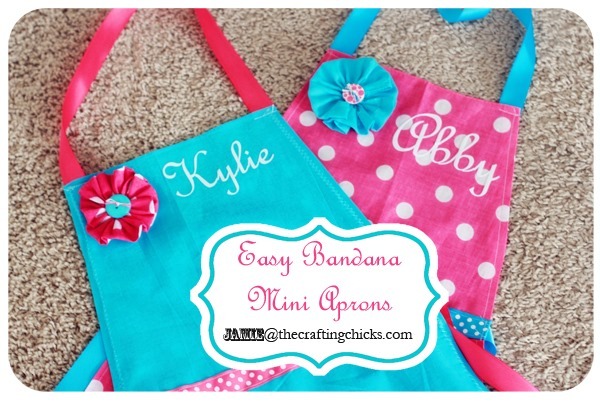 Jamie shows us how to make these adorable aprons! Perfect for crafting with the kids! 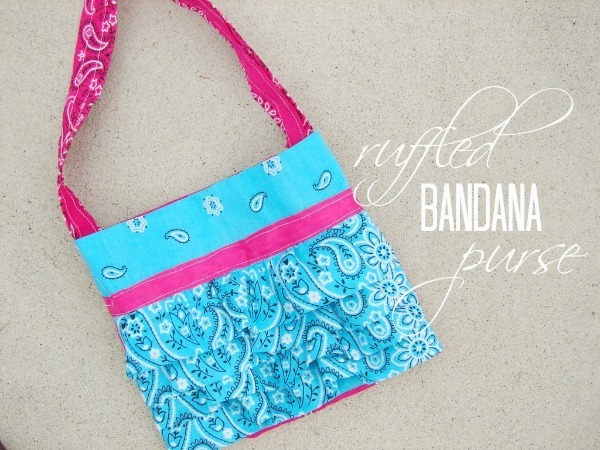 How adorable are these bandanna headbands?! 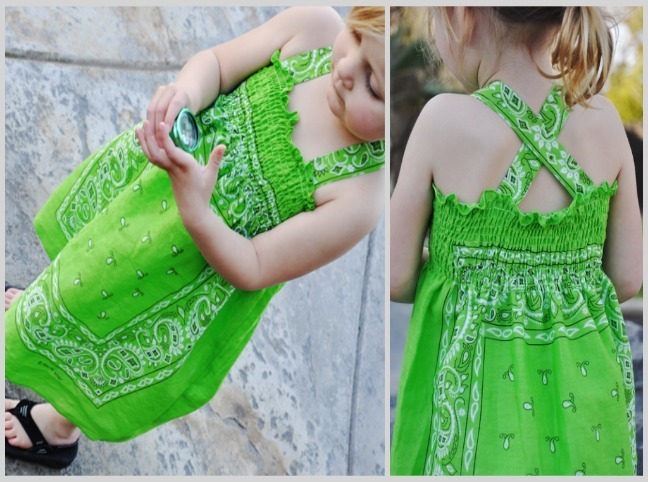 Turn a bandanna into the perfect summer dress for your little gal with Susan’s tutorial! 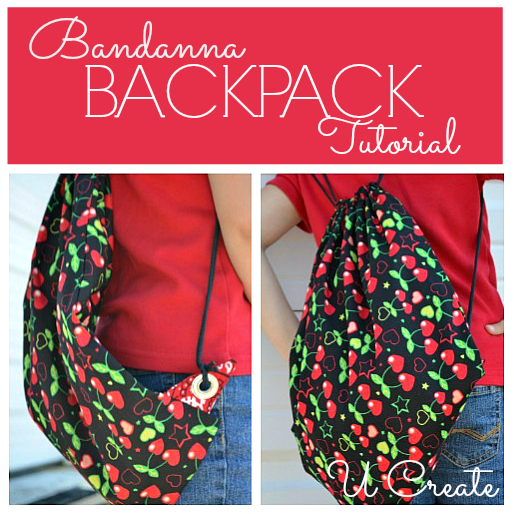 Do you need a little knapsack that’s a cinch to make?! 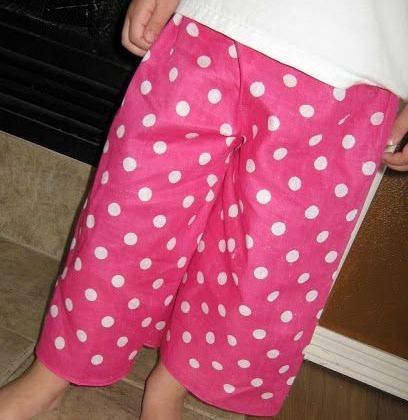 These are great for summer outings, library trips, sleepovers, and more! 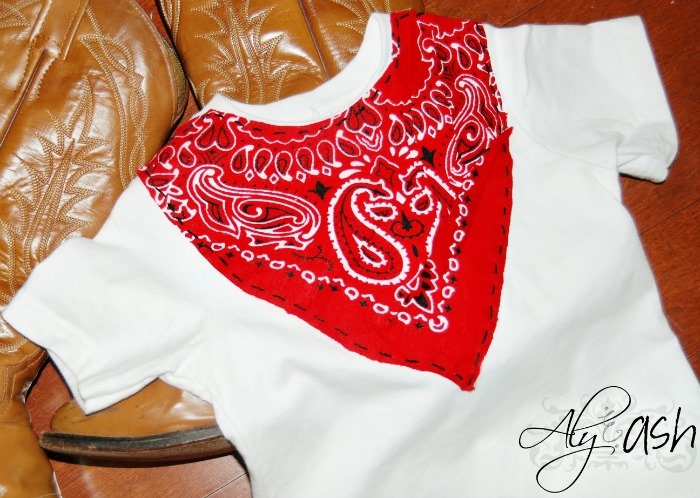 Head to your local store or craft shop and snag up those bandannas! You’ll be glad you did!! I love the various colors. Now, I want to go play and make a few of these projects myself. 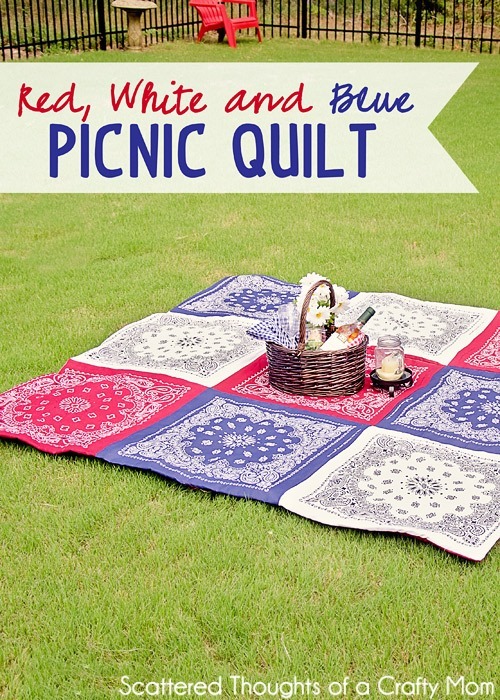 Thanks for including my bandanna quilt!